Nuts and seeds have made their way into the public limelight as healthy snacks. As the adage goes, one handful a day is good for cardiovascular health and reduces risk of heart disease and stroke. The truth – some nuts are fantastic for your health, some are not. Their high omega-6 content, high calorie density and susceptibility to being overeaten can contribute to obesity and poor health. The possible effects of choosing the wrong nuts? Chronic inflammation, weakened immune system, higher stress levels, and an inability to lose fat. Luckily, there’s a science to choosing the best nuts for you. While all nuts have beneficial nutrients, the most important to recognize is the ratio of omega-3 to omega-6 fatty acids. The humble omega-3 is the most important of all fatty acids as our modern diets often lack it The optimal amount of consumption is a 1:1 omega-6/omega-3 ratio. The more omega-3s, the lower the risk of cardiovascular disease, reduced cancer cell proliferation, decreased mortality (70%! ), and improved breathing. Seriously. Nut and seed sources actually provide a precursor to the beneficial omega-3 fatty acids EPA and DHA, found commonly in fish and pastured animals. 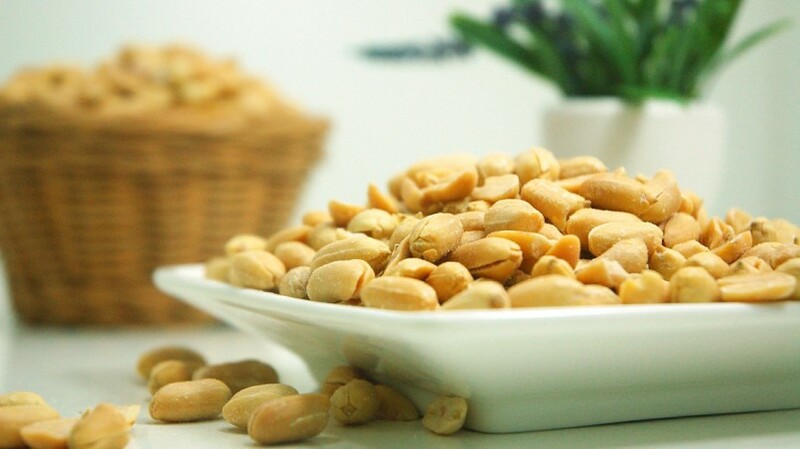 omega-3 fatty acids in nuts and plants are called Alpha-Linolenic Acid (ALA), a precursor to EPA and DHA. So technically speaking, fish > plant, nut, and seed sources of omega-3’s. That said, both ALA and EPA/DHA are fantastic health boosters and necessary for life. Excess omega−6 fatty acids affect the health benefits of omega−3 fats because they compete for the same rate-limiting enzymes. The higher proportion of omega-6 to omega-3 fat in the diet can shift a physiological state in the tissues toward the creation of many diseases: pro-inflammatory , pro-thrombotic (clot-forming) and pro-constrictive (nerve pain). So which nuts and seeds are going to bulletproof your health? Check out the table below. All Omega-6 and Omega-3 facts considered, every nut (that isn’t a peanut) is going to be a huge step up from other food choices. A handful of any of these is a good supplement to a diet, and certainly outranks fruit snacks, soda, fruit juices, and most processed carbohydrates. Just to put nuts into perspective, almonds have been linked with a decrease in cardiovascular disease, improved immune system function, and improved brain function. And I gave that a D. That should put the power of chia seeds or flax seeds into context. Overall, you can’t go wrong with a few nuts and seeds. Just don’t go overboard. The high calorie nature of nuts means it is very easy to overeat them. Stick with a handful at max. The only exceptions to my rule: chia and flaxseeds. Oh, and chestnuts are rated so highly because they have almost no fat. The bulk of its content is complex carbohydrates and fiber – an oddity among nuts. Want to know more about the “Other Benefits” functions of vitamins and minerals? Check out these 2 giant cheat sheets: vitamins and minerals. Questions, data, or seething hatred? Let me know in the comments! I eat a lot of milkproducts with low 6/3 ratio,fish and seafood with very low ratio, non GMO canola oil, coldpressed flax oil, walnuts with low 6/3 ratio so I think I can eat homemade peanut butter, tahine, all other nuts, some sunflower seeds, pumpkin seeds and maybee some other stuff. I eat very little arachidonic acid compared to meat eaters. Yes I don’t call them omnivores if they exclude grains, milkproducts, legumes, root vegitables, fish etc. AA is much worse for inflammation, but GLA and CLA are considered anti inflammatory. Birds have a bad 6/3 ratio, also much of the meat and organ meat and they use to have a high ratio of AA. So why nuts, seeds, legumes and grains? It is a complement for vegitarians and pescetarians for protein, minerals, important vitamins,phytonutrients etc. I am just a despised pesceterian that gets evrything I need from reel food so eat what you like it is your body but I find a lot of health desinformation on the internet. How do you get that ratio for walnuts? 2 grams omega 3 to 10 grams omega 6, can’t be 4 to 1. I didn’t check other ratios because they were probable but this one doesn’t make sense. Nevermind, i thought it was the omega3 to omega 6 but its the opposite. Sorry. Your chart states walnuts as having higher omega-6 than omega-3, yet you have rated it “A+”. Why do you recommend the walnuts if it has a higher omega 6 to 3 ratio? Walnuts have a pretty damn good Omega 6:3 ratio for a nut. It’s not as incredible as seeds (which can have more 3s than 6s), but it’s still great. The other question you may have is, why are brazil nuts rated highly despite the high ratio of Omega 6 to 3? The answer is selenium, which honestly deserves its own article. There are more preferential sources for selenium, but brazil nuts is a reasonable one.